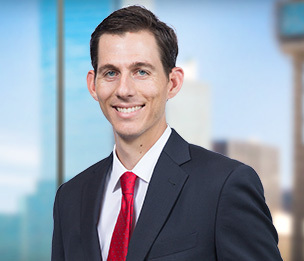 Dean M. Gould is an associate Dykema's Dallas office. Mr. Gould focuses his practice on Corporate Finance, Corporate Governance, and Mergers & Acquisitions matters. While in law school, Mr. Gould served as a judicial intern with U.S. Attorney's Office for the Eastern District of Texas, The Honorable Ken Tapscott, and U.S. Court of Appeals for the Fifth Circuit. In his final year, Mr. Gould served as a student attorney in the W.W. Caruth Jr. Child Advocacy Clinic, representing abused and neglected children. Mr. Gould served as the Air Law Symposium Editor for the SMU Law Review and as president of the Red Raider Law Society. Prior to his legal career, Mr. Gould was a middle school history teacher.